"Chris has never let his spinal cord injury stop him from living a normal life," says Megan Gill, a physical therapist who began working with Chris immediately after his injury. Gill remembers "many conversations with Chris and his family regarding his future, mobility possibilities, careers, and of course, would he ever find the right person to marry." 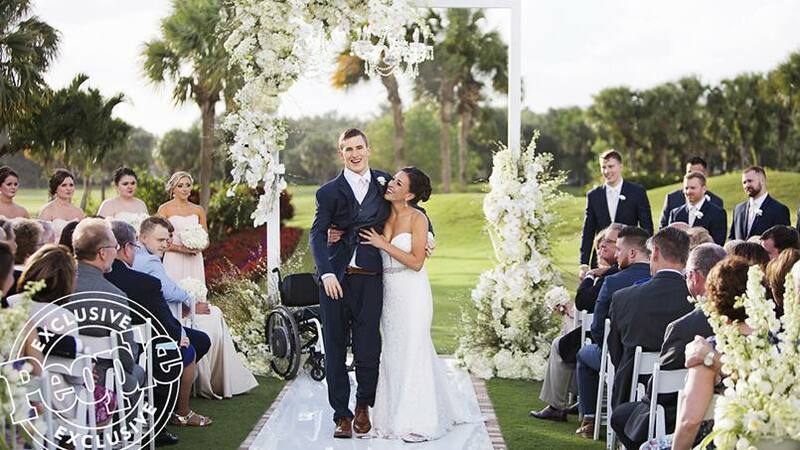 She tells us it was "indescribable" to be among those gathered to see Chris "achieve his dream of walking down the aisle with his bride" and to know he's "living a life full of love, faith and success." Read the rest of their story.